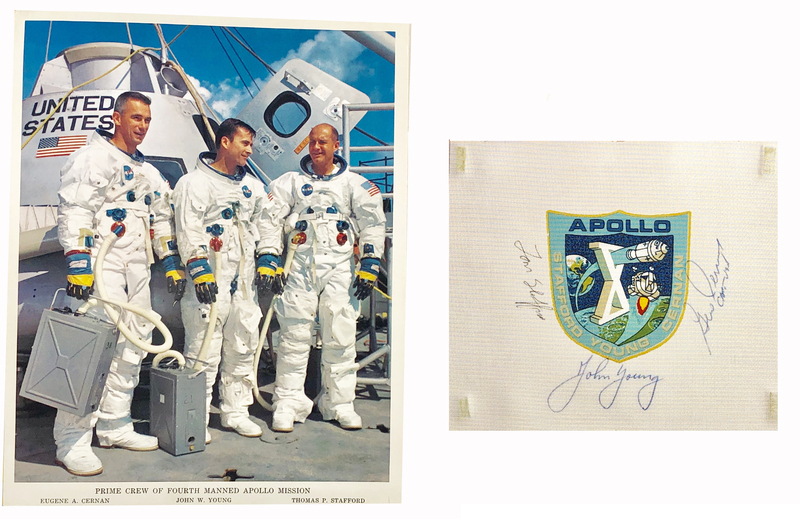 An 6" x 7" swatch of Beta cloth with the Apollo 10 emblem printed in the center, signed around the emblem in ink by crew members Tom Stafford, Gene Cernan, and John Young. In fine condition, with some scattered light toning from adhesive remnants on reverse. Accompanied by a certificate of authenticity from Zarelli Space.